Despite Google being known for being very far-left progressive, I’ve always valued them as being a superior search engine and offering a great suite of web tools. And in the business I’m in, sadly I will always need to work with Google to some degree. The runner up search engine in my opinion is Bing, and I haven’t liked using them, simply because, being an Apple user, I’m just not a big Microsoft fan. I am a strong Christian and value Easter being one of the holiest of days. 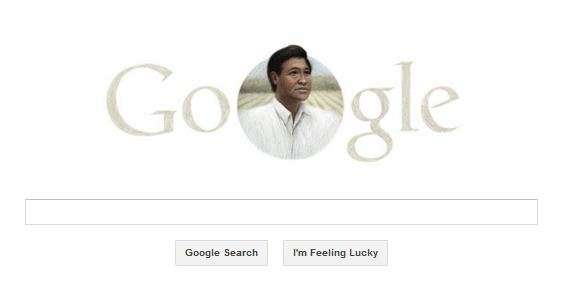 I was saddened to see that while Google seems to recognize every fun and obscure holiday with their Doodles (Google Logo that changes), on Easter Sunday morning, they had their home page devoted to the birthday of Cesar Chavez, the co-founder of the United Farm Workers union. While I understand that Google is a private company and can do whatever they want with their logo (bring on free speech) I’m disappointed that their argument is that they use their logo to commemorate historical figures and important events. Hrm… one would think that the mass of their user base might consider Jesus and Easter a more significant public figure and historical event than communist Cesar Chavez. Heck, even if you want to just celebrate the secular side and make your “o’s” in your logo into Easter eggs and put a bunny on top, I think that would be more in tune with what a majority of their users were celebrating in some way on that particular morning. 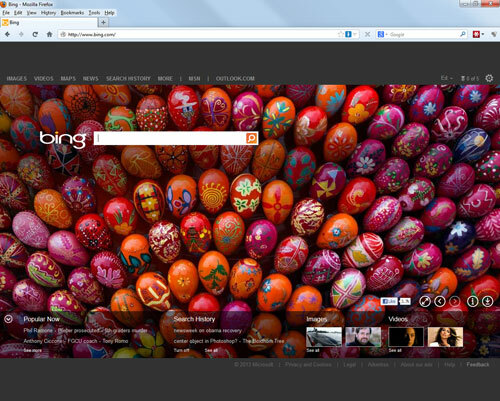 While Easter is not about eggs or candy, I did appreciate that Bing had an Easter themed home page. So this long time Google Searcher has begun to use Bing for Searches. Bill Gates is an openly declared athiest, but at least he didn’t celebrate a communist’s birthday on the most holy of Christian holidays.